‘One on Nicole’, claiming to sell alcohol to drivers, has turned out to be a ‘prank’ by a civil society organisation. The Citizen reported on Wednesday that a pop-up bar had sprung up on William Nicol in Fourways, Johannesburg, offering drivers the opportunity to stop for an alcoholic beverage during traffic. 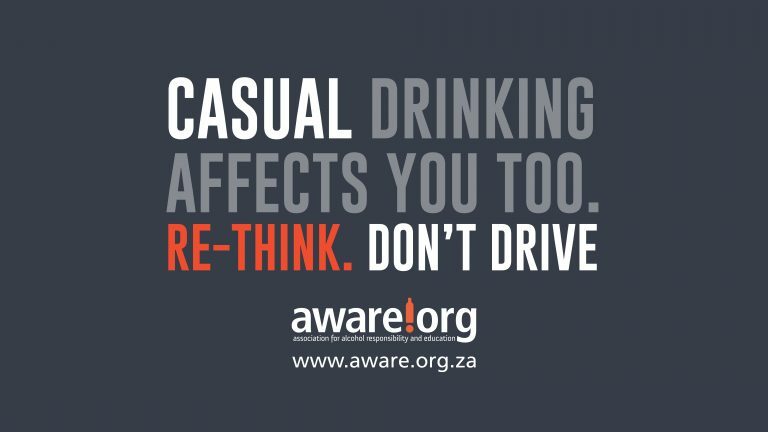 It has since emerged that the bar was, in fact, an elaborate prank carried out by aware.org, the Association for Alcohol Responsibility and Education, to create awareness around the issue of drinking and driving. The organisation sent The Citizen a press release on the motivation behind the publicity stunt. 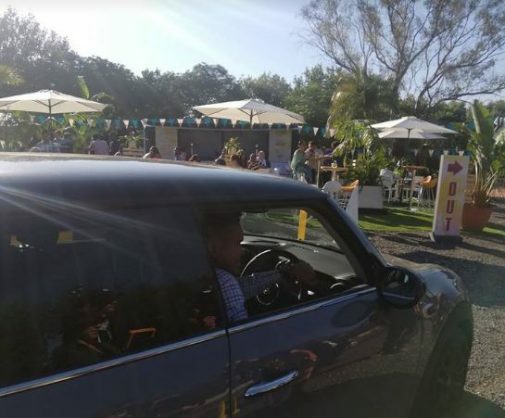 “Joburg commuters were divided this week when a teaser for a ‘first-to-SA’ pop-up store situated on William Nicol Drive, was revealed to be a drive-through bar, aptly named #OneOnNicol,” the press release said. “The controversy around the drive-through bar has forced South Africans to actively re-think their drinking habits and thought patterns when it comes to getting behind the wheel or walking home after just one drink ahead of the festive season. The full press release and more information is available on the organisation’s website. “Tokyo has a beer vending machine, the Aussies have drive-thru bottle stores, and now Jozi has its own drive-thru bar!” the fake bar, called One on Nicol, had boasted on Facebook. The pop-up bar’s owner Jason Le Grange made a video on social media, promoting his concept. Le Grange said if people wanted to sit down, they would be served two, three, “maybe four max… and off you go”. But Johannesburg metropolitan police department spokesperson chief superintendent Wayne Minaar told The Citizen, before we were aware that the bar wasn’t real, that the legal limit for someone who was driving was only one drink. He added the JMPD would be paying the bar a visit on Wednesday to check if it was operating within the law. Whether or not he was aware of the “prank” is unclear. “We are going to visit it at 1 o’clock to see the legality of it because it could be promoting drinking and driving,” Minaar said. Social media joined The Citizen in falling for the prank, believing that the seemingly bizarre idea of encouraging people to drink and get back into their cars on a busy road would actually be taking place. Former Miss Earth and activist Catherine Constantinides slammed the “idea” on Twitter. “When you drink don’t dare drive, you put not only your own life but worse so many others lives at risk and in serious danger,” she said. Other Twitter users agreed, with some responding to a tweet from the bar’s account about their launch by expressing shock and outrage. UPDATE: This story has been updated to indicate that the pop-up bar was not really launching at 10:32 December 12. 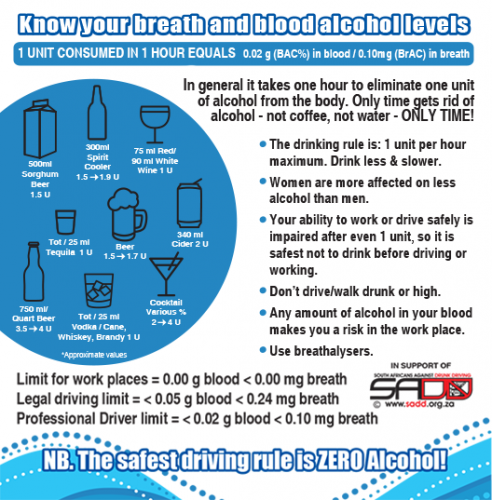 The infographic below, from South Africans Against Drunk Driving (SADD), explains how many drinks would put the average driver over the limit.